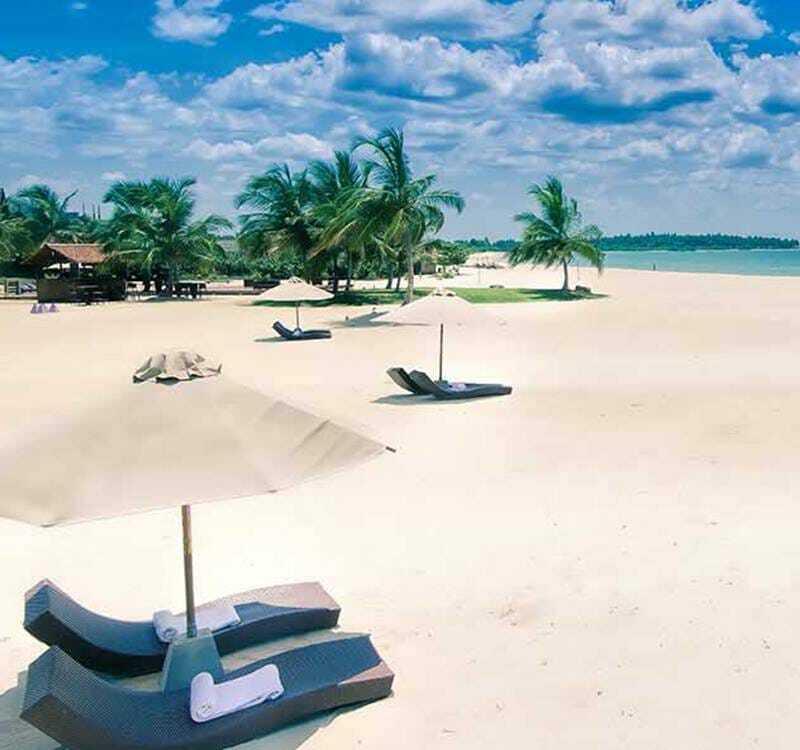 Sri Lanka’s famous Pasikuda beach is perched along the eastern coastal line of Batticaloa and stretches for 2 km of beautiful golden sand and sapphire sea. The calm and shallow waters of this gorgeous bay allow you to wade in for up to half a kilometre with no depth or current to fear. It is also home to an incredible collection of marine life, sustained by the delicate coral reef which, together with the crystal clear waters, makes for the perfect conditions for snorkelling. The peak season on the Pasikuda is between May and September. The calm waters and warm conditions during this time make the eastern coast of Sri Lanka a great place to enjoy a variety of exciting water sports. Meanwhile, Kayankerni, with its underwater shipwrecks and plethora of vibrant marine species, is a must-visit site for divers of all skill levels. Furthermore, there is no better way to absorb the astounding beauty of the Pasikuda Bay than by sailing along its coast. We can also organise exclusive private sailing tours that are perfect for connecting with the ocean and enjoying the splendour and magnificence of this coastal paradise.